Darjeeling – Films, Romance, Songs and much more! I have a favorite song for every situation! When I am driving particularly in heavy traffic or on hot days when waiting for the traffic light to change seems eternal I love to listen to “Kasto Mazaa hai railei ma”. The song has a breezy and a real retro feel to it and it makes me want to get out of my car and hop into the toy train Saif was travelling in, chugging through the gorgeous mountainside, taking in the scenic wonders of Darjeeling and feeling the cool breeze in my face. And for the 60s fans the ultimate toy train romance song would be the peppy number “Main Chali Main Chali” picturized on Bollywood’s ultimate romantic hero Shammi Kapoor and Kalpana in the movie “Professor”. The majority of the rom-com flick was shot in the picturesque town of Darjeeling. The Rajesh Khanna and Sharmila’s toy train romance reminds many of the evergreen romantic hero Dev Anand, singing “Jiya o Jiya o Kuch Bol Do” from the roof of a car moving alongside the toy train to Darjeeling, to woo Asha Parkeh, who is on the train. It’s kind of difficult to zero in on any particular song and term it as the most romantic toy train song shot in Darjeeling! But there’s one thing that every fan would agree – and that is Bollywood loves Darjeeling! The latest hype around Mahesh Bhatt’s interview where he said that he might shoot parts of the sequels to blockbusters Jism and Jannat amidst the breathtaking natural beauty of Drajeeling bears the testimony to what I said – Bollywood loves Darjeeling and it just can’t get enough of it. 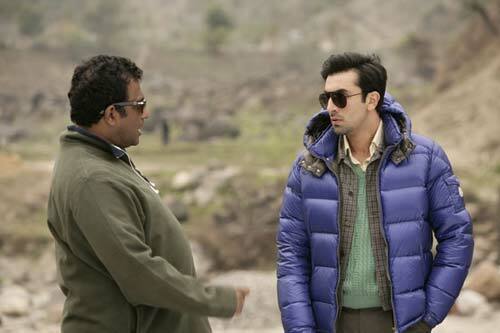 Recently Anurag Basu shot for his upcoming flick Barfee starring Ranbir Kapoor, Priyanka Chopra in Darjeeling. The locales include Tindharia, Bhotey Bustee, Hotel Windamere, Chowrasta and the Planters Club in Darjeeling. A big budget film of this sort starring mega stars like Kapoor and Chopra will undoubtedly play an important role in boosting Darjeeling tourism. 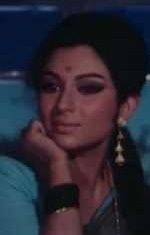 Well, Ranbir Kapoor isn’t the first one from the Kapoor khandaan to fall in love with ‘Queen of Hills’. Dadaji Raj Kapoor, Shammi Kapoor and dad Rishi Kapoor had shot in Darjeeling as well. Raj Kapoor’s Barsaat which portrayed the love stories of two couples – Raj- Nargis and Prem Nath- Nimmi was shot in the hills. Shammi Kapoor’s China Town in 1962 also used the beautiful misty locales of Darjeeling. Barsaat ki Ek Raat starring none other than Big B and Rakhee extensively shows Darjeeling and its magical ambience as the story was based on tea gardens. It was shot in Darjeeling Tea Gardens, Tiger Hills and Kalimpong. The romantic flick Aaye Din Bahar ke (1966) with Dharmendra and Asha Parekh did wonders at the box office and Darjeeling as the backdrop added to the charm of the film. Baharon ki Manzil (1968) amnesia thriller starring Dharmendra, Meena Kumari, Rahman utilized the exquisite scenery of Darjeeling to the most. 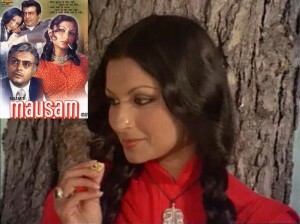 Mausam (1975), the poignant love story starring Sanjeev Kumar and Sharmila was also shot in Darjeeling. It’s not only Bollywood but Tollywood is also enamored by the romantic and idyllic locales of Darjeeling. 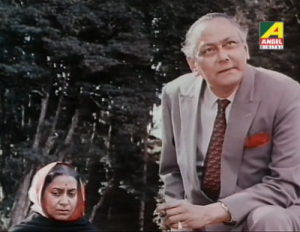 Satyajit Ray’s Kanchenjunga had this magical place as the backdrop. BTW when Ray was shooting for Kanchenjunga Mr Lekh Tandon was there to shoot for Professor starring Shammi Kapoor. Other Bengali movies been shot in the astonishingly beautiful locales of Darjeeling include – Titli, Darjeeling Darjeeling, Sei Gorkha Chelata, Rono and Vicky, Nine Miles et al. Speaking of shooting locales Darjeeling has much to offer – the beautiful hills, dooars and the terai region, the toy train exuding a vintage sort of vibe and much more. The list, however, would not be complete if I don’t mention the revered St Paul’s school. 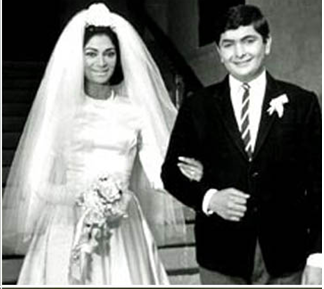 What’s common between the school scenes where Raju (played by Rishi Kapoor) of Mera Naam Joker gets his first taste of adolescent love and the college scenes showing all the camaraderie, fun, romance and the songs Chale Jaise Hawaein and Kiska Hay Ye Intezaar in Main Hoon Na? They were shot in St Paul’s school. The King Khan of Bollywood who starred in Main Hoon Na while shooting in Darjeeling got all nostalgic as it was the same place where he shot for his first Bollywood break – Raju Ban Gaya Gentleman! Remember the song “Dil Hai Mera Deewaana” bidding adieu to Darjeeling riding on a Toy train. For those who have a special fondness for offbeat movies will remember Bada Din starring Shabana Azmi, Tara Deshpande and droolworthy Marc Robinson. Well, some parts of the movie were shot in St Paul’s school. The school scenes in the movie Do Anjaane starring Amitabh Bachchan and Rekha were also shot here. Well, St Paul’s School Darjeeling’s connection to films is not just limited to Bollywood! The beautiful and famed Hollywood actor Vivien Leigh, who played Scarlett O’Hara in Gone with the Wind, was born in the school campus, in a place which is now known as Dawkins. If you know of any other film shot in Darjeeling then do let me know! I will include it in the post. Saif Ali Khan’s Dhishum Dhishum Act – What Tweeples Are Saying? Amongst all beautiful places in West Bengal, Darjeeling is the queen!! Crowned with the Himalayas… ever shining with the golden hue of the sunrays.. its just a very cherishable place, would love to visit there sometime. Its a great source of filmi resources in connection to darjeeling. The images and the videos really appreciating with the article reflecting the smell of the place. Most importantly its a research document in itself. Ah after have just reading the entire post, feeling nostalgic about the destination Darjeeling and want to move there again to have the pulse of the cold, heritage, cinemas…everything. Love to share the post. Include the latest one… i.e. Yaariyaan (2014) was shot at St. Joseph’s School, Darjeeling. 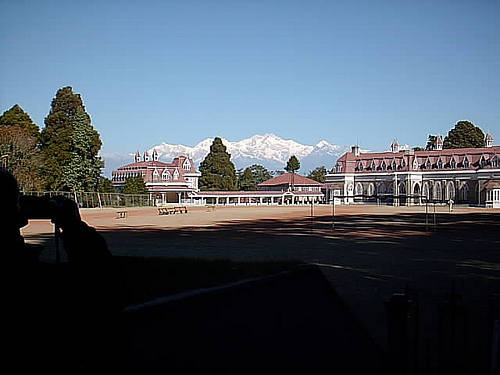 yes of course yaariyan was shot in darjeeling at st.joseph school(north point)…why dont u mention that! Because the post was written in 2012 and the movie was released in 2014. Is passport require to reach darjeeling?